One-year, blended learning curriculum, designed for busy professionals to update their knowledge and skills in the field of bioethics. The course commences January 2019. The Centre for Ethics, Yenepoya University offers a Postgraduate Diploma in Bioethics & Medical Ethics (PGDBEME). This one-year course commencing every January (three contact programs of 4-5 days each in January, May and October) is designed to encourage busy practitioners, academicians and researchers to enroll. The course exposes the learner to the basics of bioethics and philosophy and their inter-relatedness (as well as their application) in health care, technology and research involving human subjects. A research project submission is required in partial fulfillment of the PG Diploma award. Examinations will be held in December 2019. Last date for receipt of completed application form along with fees and a letter of intent (not more than 500 words) is 15 December 2018. 1. Download the brochure and application form. You could use the pdf version or the doc version. 2. Fill out the form and email (bioethics@yenepoya.edu.in), or post (Director, Centre for Ethics, Yenepoya deemed to be University, Deralakatte, Mangalore 575018) back to us. In case you decide to email the form, you will need to scan the form after you have filled it out, pasted your photograph and signed it. 3. Please remember to scan and attach scanned copies of all the relevant certificates. 4. Don't forget to write and attach a letter of intent (not exceeding 500 words) stating why you are joining the course, what you expect and how you can take it forward. Modern health care involves increasingly complex situations, never encountered in the past. Genetic modifications, stem cell therapy and life sustaining technologies give doctors and other health care providers, the power over the lives of their patients. Health care workers of today need to reinforce their concepts of bioethics and bring themselves up to date, so that decision-making always keeps the patients’ best interest in the focus. The Centre for Ethics, Yenepoya University offers the first ever Postgraduate Diploma in Clinical Ethics (PGDCE) in the country. This one-year course (including three contact programs of 4-5 days each) is designed to train participants in the basics of ethics, its applications in healthcare and how to conduct a clinical ethics consultation. It was started with the objective of enhancing awareness among and empowering clinicians and other providers with tools that can be applied to resolve ethical conflicts in the day-to-day clinical encounters of health care. A clinical ethics consultant is an expert trained in clinical ethics who is empowered to provide ethics consultation in hospital settings. The course is conducted by the Centre for Ethics in collaboration with the Institute of History, Philosophy and Ethics in Medicine, Johannes Gutenberg University, Mainz, Germany. Prof Dr Norbert W Paul is the faculty from JGU for this course. 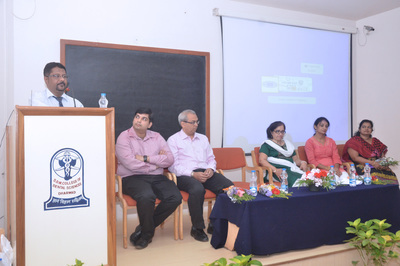 Many important topics are covered in the syllabus such as basic principles and theories of ethics, medico-legal issues in India, approach to medical humanities, health care ethics in vulnerable populations in India, principles of clinical ethics and applications of clinical ethics in health care. Successful participants can seek employment as Clinical Ethics Consultant in Hospitals; become members in Institutional Ethics Committees or engage in practice as Clinical Ethics Consultant. Ethics for Physiotherapy Interns: At present, open to physiotherapy students of Yenepoya Physiotherapy College only. Ethics for Masters' in Hospital Administration: At present, open to MHA students of Yenepoya University only. Choice-based credit courses in biomedical ethics and environmental ethics: At present, open to medical and dental undergraduates of Yenepoya Medical and Dental Colleges only. 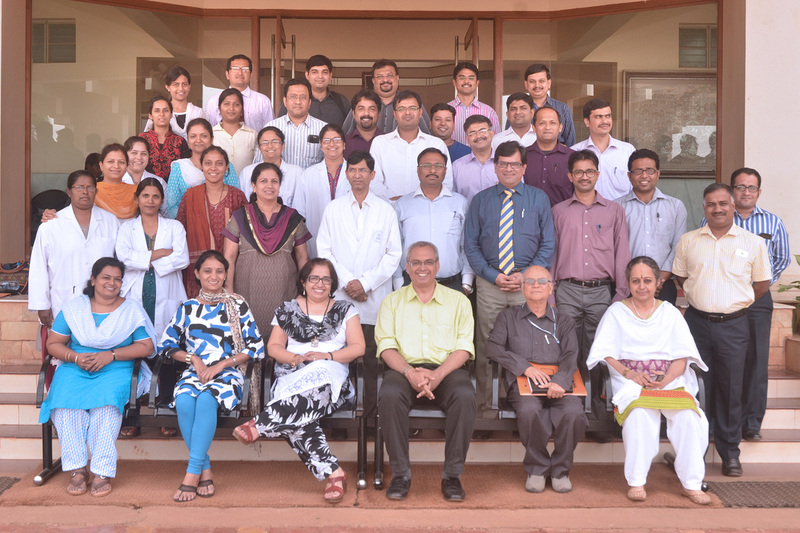 The Centre for Ethics conducted training workshop for the Ethics Committee members of SDM Dental College, Dharwad on 6th and 7th July, 2015.